It is four times taller than the Statue of Liberty. So big, in fact, that it will give India bragging rights to the world’s tallest statue — a nearly 600-foot creation that says as much about India’s global aspirations as it does about the political ego of its leader. 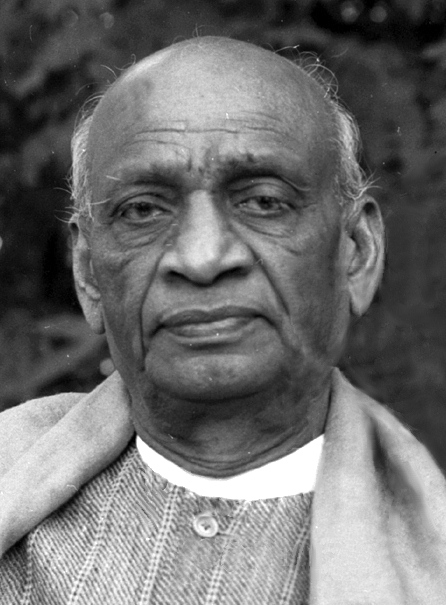 Vallabhbhai Patel (31 October 1875 – 15 December 1950), popularly known as Sardar Patel, was the first Deputy Prime Minister of India. He was an Indian barrister and statesman, a senior leader of the Indian National Congress and a founding father of the Republic of India who played a leading role in the country's struggle for independence and guided its integration into a united, independent nation. In India and elsewhere, he was often called Sardar, Chief in Hindi, Urdu, and Persian. He acted as de facto Supreme Commander-in-chief of the Indian army during the political integration of India and the Indo-Pakistani War of 1947. Built at a cost of ₹2,989 crore, the ‘Statue of Unity’ depicts Sardar Vallabhbhai Patel wearing a traditional dhoti and shawl, towering over the Narmada River and overlooking the Sardar Sarovar dam. The statue, described as the world’s tallest given that it exceeds the height of China’s Spring Temple Buddha by 177 feet, was built by Indian construction major Larsen & Toubro (L&T) in 33 months. The statue was designed by Padma Bhushan-winning sculptor Ram V Sutar. Prime Minister Narendra Modi after unveiling the 182-metre high ‘Statue of Unity’ in honour of Sardar Vallabhbhai Patel, Kevadiya Colony, Sardar Sarovar Dam, Gujarat on Wednesday, October 31, 2018. Mr. Modi also inaugurated a 17-km-long Valley of flowers, a Tent City for tourists near the statue. The $408 million gold-colored colossus also spills over into present-day politics. It is considered a trifecta for Prime Minister Narendra Modi: a nod to his Hindu political base, a landmark site in his home state, and a showcase of the nation’s growing prosperity and status as a rising global power. Hindol Sengupta, who wrote a Patel biography, said projects such as the statue are Modi’s way of trumpeting India’s ascent. The statue will stand at 597 feet, or 177 feet higher than the world’s tallest statue, China’s Spring Temple Buddha in the central Henan province. Coincidentally, the bronze cladding for the Patel statue was shipped from China because Indian foundries lack the expertise and equipment to go this big. The statue is being assembled by about 4,000 laborers working around the clock. It depicts Patel, wearing a traditional Indian dhoti wrap around his legs and a shawl, towering over the Narmada River. In 2013, ahead of the previous general election, Modi sent trucks all over India to collect scrap metal for the structure. According to the statue’s makers, the metal was melted and used to create the base — a symbolic act to represent the nation. A museum and audiovisual gallery beneath the statue will showcase Patel’s life story and his contributions to India’s struggle for independence. See the Technical aspects of the design of this tallest statue in the World in the enclosed CTBUH Research Paper 2015!